Golden Oak at Walt Disney World Resort announced plans for its newest neighborhood, Kingswell. The new neighborhood will feature the last estate-sized home sites available for purchase within the community. Sale of select home sites just began, with prices of finished custom homes to start at $3 million. Custom single-family homes will range from approximately 5,000 to 7,000 square feet and feature design and architectural inspiration from European and Caribbean influences. The initial homesites released boast approximate half-acre lots for each the anticipated 53 homes. Lock in now to start enjoying select Golden Oak Club benefits! Kingswell is Golden Oak’s sixth neighborhood to be released since the luxury residential community broke ground in 2010. Golden Oak welcomed its first residents in 2012 and recently announced the addition of Four Seasons Private Residences Orlando in 2015. For more information about Kingswell and the Golden Oak community please contact us. A Place in the Sun Live is the official exhibition of the Channel 4 TV show and the largest overseas property exhibition in Europe – the perfect place to help guide you through the buying process and find your ideal property abroad. There will be over 150 exhibitors from around the world ready to showcase their collection of beautiful overseas homes. France, Portugal, Italy and Florida all have their own dedicated area at the show where you’ll find a mix of agents and developers and a detailed seminar programme where you can chat to industry experts and get all your questions answered. All visitors receive a free copy of A Place in the Sun magazine and A Place in the Sun Live Show Guide and if that’s not enough, the stars of the TV show Amanda, Jasmine, Jonnie and Laura. will be appearing at The Hub to share their experiences from the TV show, offer their top tips for overseas property hunting and answering your questions. You can even meet them face-to-face at the magazine signing sessions. The weekend will be informative, entertaining and an essential place to visit if you’re considering moving forward with your overseas property purchase plans. 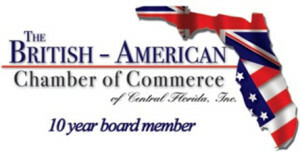 We will be on the Contempo booth in the Florida Pavillion with updated information on Rosemont Woods. Hope to see you there! This home will go FAST! Westridge is a well established, popular and well managed community just south of the 192 on hgwy 27. Gated, well maintained sub-division with a club house and nice community pool. Check out this turn-key, FOUR BEDROOM / THREE BATH W/PRIVATE POOL home in one of South Orlando’s coveted gated communities, Westridge with LOW HOA fees! Perfect location off Hwy 27 in the Davenport area, just 15 minutes from Disney and numerous golf courses in an area zoned for short term rental. The Westridge community is gated, offers a community pool, clubhouse and fitness center and the HOA covers the homeowners lawn maintenance, exterior pest control and sprinkler maintenance. Whether you are looking for a full-time home, a second home, a vacation home with potential for rental income, a snowbird retreat… you have found it! Seller reports regular maintenance throughout with new A/C with remote wi-fi control & new pool pump as of 2014. Request More Information on this Buckingham Circle Home. Whether you’re looking to relocate, downsize or upgrade to a larger space, selling a home can be a stressful and surprisingly expensive process. You’re probably aware that if you use a Realtor, you’ll pay a 5% to 6% commission on your home’s sale price. But there are some other costs that might creep up on you. You’d think that paying for and owning a home would give you the right to sell it with no strings attached, but alas, that’s not the case. When you sell a home, your state, county or municipality may want a piece of the action – and what better way to generate extra revenue than to impose a real estate transfer tax? While the amount you pay will vary based on where you live, tax rates typically range from 0.01% of your home’s sale price (as in Colorado) to 4% (roughly what you’ll pay in Pittsburgh). In Florida, for example, you’ll pay about $2,100 in transfer taxes when you sell a $300,000 property. Though it’s somewhat rare, depending on your circumstances, you may be subject to capital gains taxes if you sell your home for a significant profit. What helps most people avoid these taxes is the ability to exclude up to $250,000 in gains for a single filer and up to $500,000 in gains for those married filing jointly. There’s a catch, though: To claim the exclusion in its entirety, the property in question must have been your primary home, and you must have lived in it for at least two out of the five years leading up to the sale date. Also, if you claimed another home sale exclusion in the previous two years, you generally won’t be eligible for another one. On the other hand, you can deduct selling costs, such as Realtor fees, to lower your capital gains for tax purposes. Though it’s not a must, home staging can help you attract buyers and move your home off the market more quickly. The downside? Sprucing up your home costs money. Sellers these days spend $1,800 on average to stage a home, and while you may recoup some or all of that money by commanding a higher asking price, it’s a cost you should be prepared to absorb up front. Thankfully, you can save money on staging costs by doing some of the work yourself as opposed to hiring a professional stager. The Internet is loaded with tips on how to stage homes on a budget, from adding decorative curtains and rugs to applying fresh paint as needed. In some localities, in order to sell a home, the seller must obtain a certificate of occupancy stating that the property in question is safe and suitable for residence. While the fee for the certificate itself might be as little as $50, some cities and towns have specific criteria that must be met before a home can receive one. Generally, a municipal representative performs an on-site inspection to see if a home complies with updated building codes. If yours doesn’t, you may need to make some last-minute adjustments or repairs to get your home up to code, and the more involved the work, the more you’re likely to pay. Updating your kitchen’s outlets, for example, could cost several hundred dollars if you need to get an electrician involved. 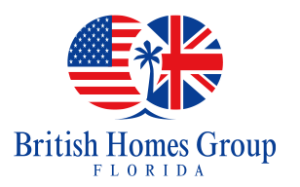 That’s how long The British Homes Group has been helping our UK clientele sell their holiday homes in Florida – over 10,000 potential buyers read our “Florida” newsletter every issue! Can we help you sell your villa this year? Or invest in another sunny Orlando villa or income property (e.g. 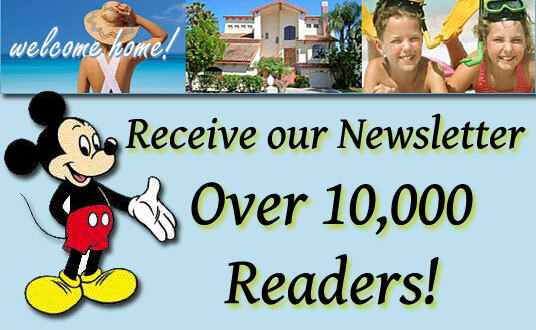 Buy-To-Let) – over 20,000 to choose from in the Disney area alone! Orlando home prices pushed up 5 percent in March from February. The median home price for the core Orlando market was $195,000 in March. During the last year, prices jumped 10 percent and wages grew about 1 percent, according to a new report by Orlando Regional Realtor Association. For Orlando buyers in March, the bad news was that prices hiked and for-sale signs disappeared. Since last summer, buyers have chipped away at Central Florida’s inventory of homes on the market. Since the beginning of the year, the supply has dwindled from 5 months to just 3.5 months – almost half of the 6-month supply that marks a balanced market. Houses lasted 70 days on the market before landing a contract, down from 80 days a year ago. Final sales prices were just 97.1 percent of the asking price. Prince Harry, first lady Michelle Obama and other celebrities will help open the Invictus Games at Disney World on May 8. Plans for the opening ceremony of the games, an international sports competition for wounded military members, will be revealed Tuesday at a news conference in New York. In addition to the prince and Mrs. Obama, British singer/songwriter James Blunt as well as Navy jets and the U.S. Army band will help usher in the games at Disney’s Champion Stadium. In addition to marking the start of the games, the opening ceremony will help recognize the military service and sacrifices by the athletes. The games will conclude May 12.